Okanda, as it is called in Sinhala and English, is unique as a popular pilgrims’ resort, much hallowed as a centre of penance and prayer. 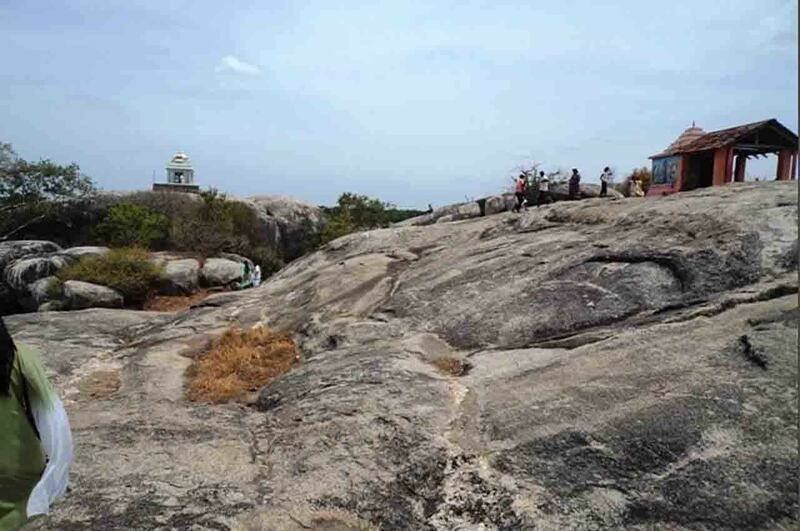 Pilgrims from all parts of Sri Lanka, of varied faiths and cultures, seek grace at Okanda Rock Shrine, especially during its great festival in July. 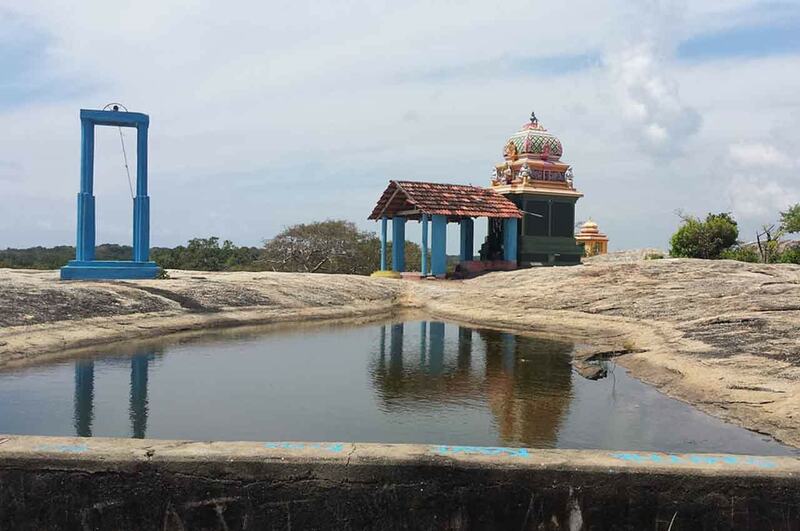 At the foot of Okanda Malai is Vêlāyudha Swāmi Temple, dedicated to God Skanda-Murugan. 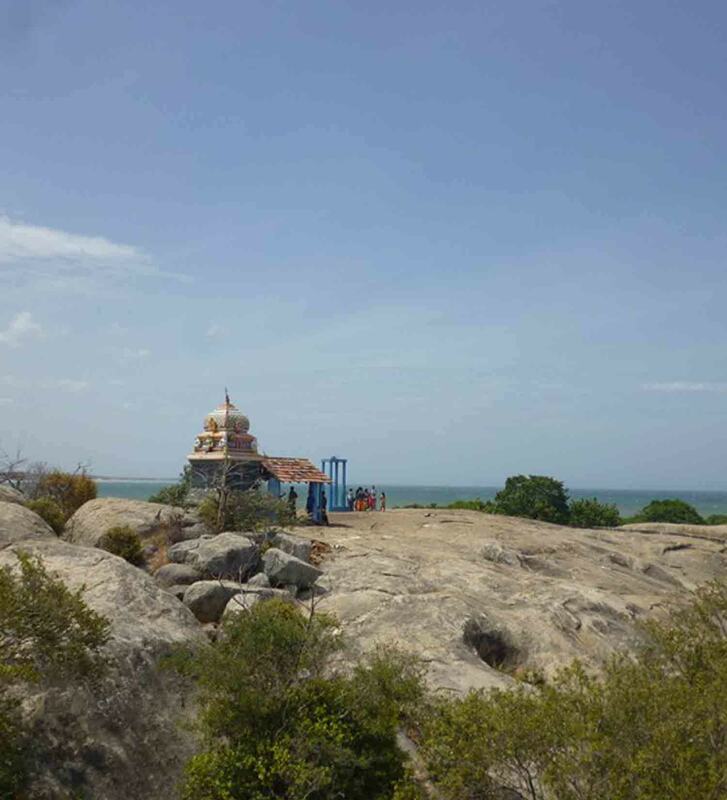 The Lord's sweetheart Valli occupies the Okanda Malai peak. 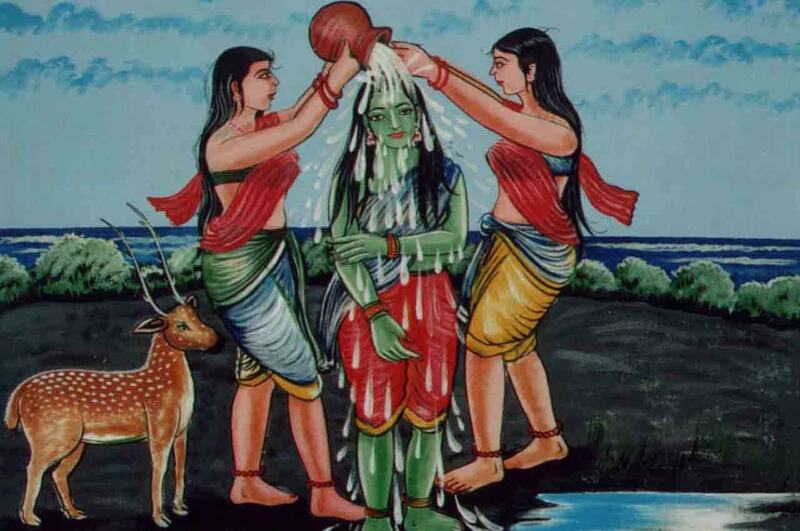 Symbolically, He reveals Himself here as Valli Amma's friend and devotee par excellence. 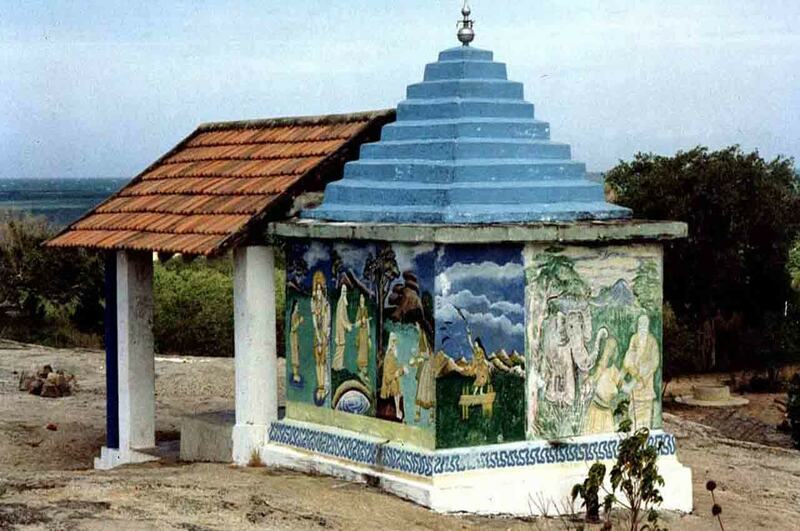 Valli Amman Kovil atop Ukantha Malai as it appeared in 1989. 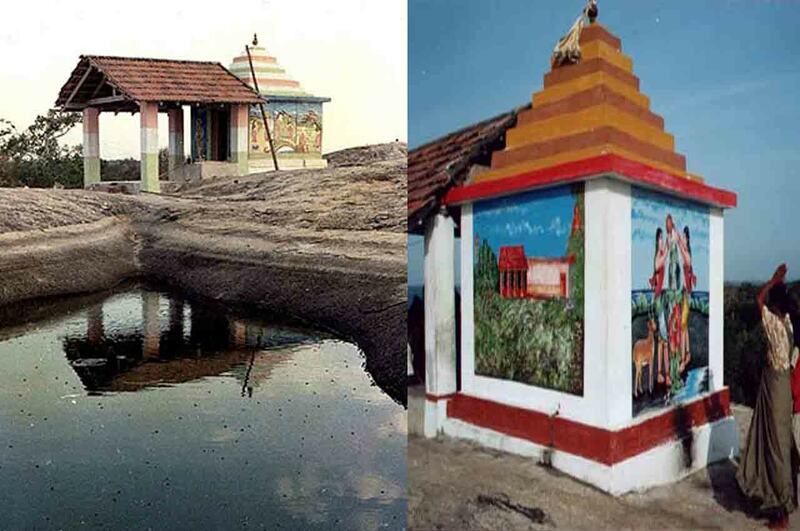 The story of Valli & Murugan is told in picture panels. The Indian Ocean glimmers in the background. 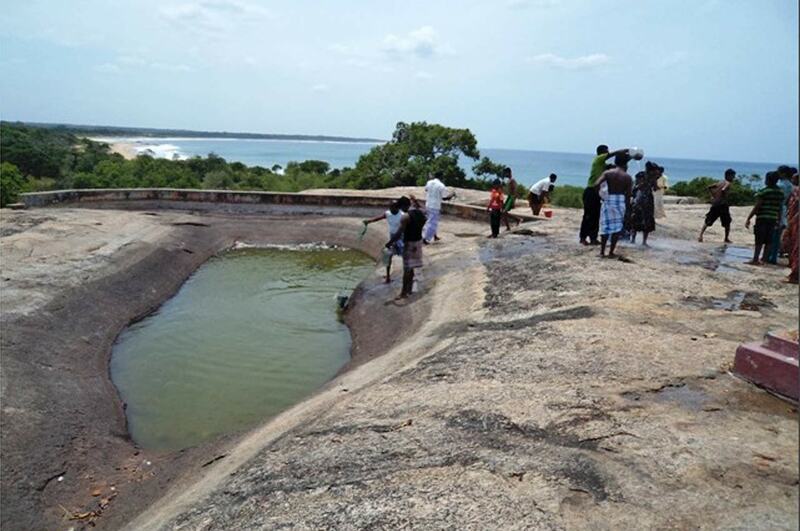 Valli Amma's presence sanctifies Okanda Malai's teertham waters.